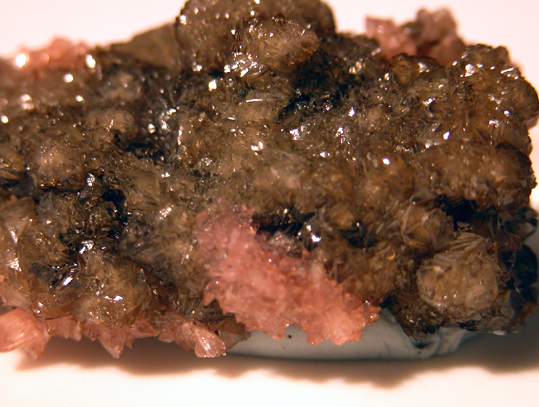 Correianevesite: Mineral information, data and localities. 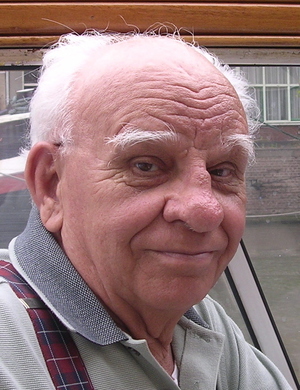 Named in honour of Professor José Marques Correia Neves (1929-2011), mineralogist from Portugal, for his detailed studies of Brazilian pegmatites. 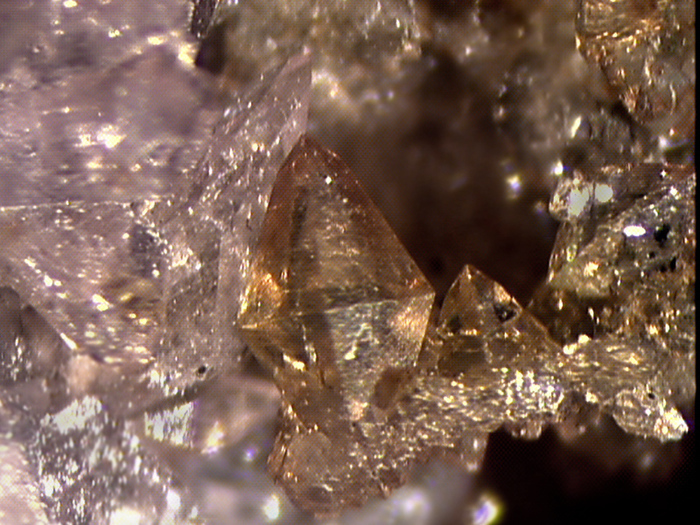 Practically a cation-ordered, intermediate member of the Phosphoferrite-Reddingite Series. Fracture is laminated, uneven across cleavage. 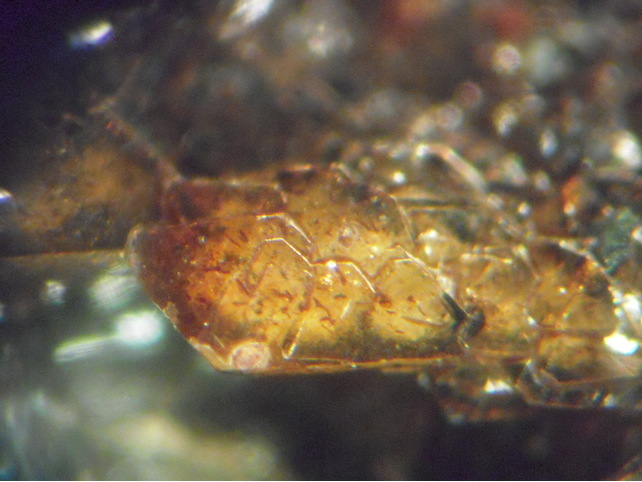 As grayish-brown to reddish-brown transparent bipyramidal crystals up to 4 mm in size. Landesite Mn2+3-xFe3+x(PO4)2(OH)x · (3-x)H2O Orth. Hureaulite 47 photos of Correianevesite associated with Hureaulite on mindat.org. Rockbridgeite 28 photos of Correianevesite associated with Rockbridgeite on mindat.org. Strengite 12 photos of Correianevesite associated with Strengite on mindat.org. Triphylite 8 photos of Correianevesite associated with Triphylite on mindat.org. Vivianite 4 photos of Correianevesite associated with Vivianite on mindat.org. Beraunite 1 photo of Correianevesite associated with Beraunite on mindat.org. Phosphosiderite 1 photo of Correianevesite associated with Phosphosiderite on mindat.org. Chukanov, N.V., Scholz, R.,Zubkova, N.V., Pekov, I.V., Belakovskiy, D.I., Van.V., Lagoeiro, L., Grac¸a, L.M., Krambrock, K., de Oliveira, L.C.A., Menezes Filho, L.A.D. and Pushcharovsky, D.Y. (2013) Correianevesite, IMA 2013-007. CNMNC Newsletter No. 16, August 2013, page 2702; Mineralogical Magazine, 77, 2695-2709. The following Correianevesite specimens are currently listed for sale on minfind.com. Moore, P. B., Araki, T., Kampf, A. R. (1980): Nomenclature of the phosphoferrite structure type: refinements of landesite and kryzhanovskite. Mineralogical Magazine, 43, 789-795. King, V. and Foord, E., 1994, 2000, Mineralogy of Maine.